North Korean Foreign Minister Ri Yong-ho arrived in Beijing on Thursday on a three-day trip to secure China’s support for the removal of economic sanctions on the regime. Ri arrived at Beijing Capital International Airport on Thursday afternoon for a three-day stay on the way back from trips to Vietnam and Syria. He is scheduled to hold talks with Chinese Foreign Minister Wang Yi and other senior officials, with the aim of receiving greater support for North Korea’s calls to lift economic sanctions. He is also expected to be briefed on talks last week between Chinese Communist Party leader Xi Jinping and U.S. President Donald Trump at the G20 summit, where Trump confirmed that his second meeting with Kim is likely to take place early next year. China remains North Korea’s most important economic and political ally but has previously agreed to United Nations economic sanctions aimed at pressuring the regime to abandon its nuclear weapons program. However, countless reports have detailed cases of Chinese officials and companies violating these sanctions, be it from the sale of luxury goods to helping them develop their tourist industry that provides a key source of foreign capital. “A provision in the Security Council resolutions that the council is prepared to modify the sanction measures in light of the DPRK’s [North Korea’s] compliance,” he said at the time. 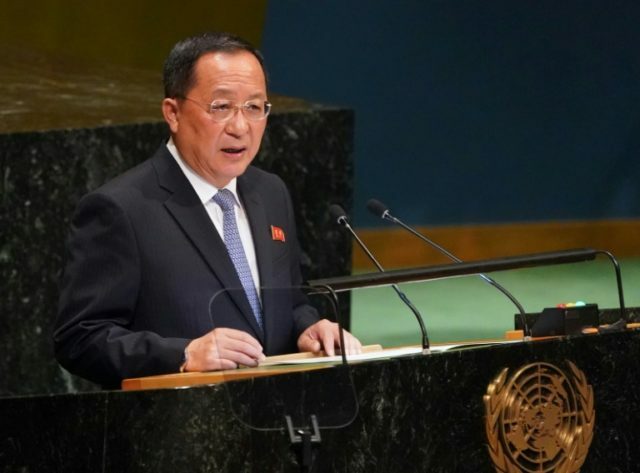 “Now given the positive developments in the inter-Korean and DPRK- US relations, and the DPRK’s important pledges and actions on denuclearization, China believes that the Security Council needs to consider invoking in due course this provision to encourage the DPRK and other relevant parties to move denuclearization further ahead,” he continued. Russian Foreign Minister Sergei Lavrov has criticized Western nations for “stubbornly” refusing to agree to remove sanctions. Ri’s trip comes off the back of his trip to Syria to meet dictator Bashar Al-Assad, where he argued that the two countries face the same “enemy” and called on increased cooperation between them.